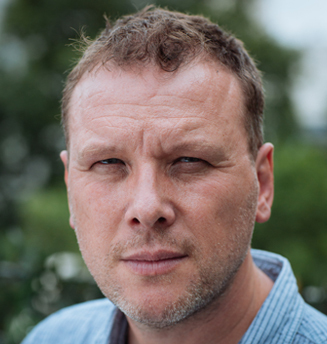 After 13 years as an artist working across publishing, advertising, and games, Kevin Jenkins joined the VFX Industry on the BBC’s Walking with Dinosaurs series before working on various shows as a Senior Digital Matte Painter and Lead Environment TD, including the Oscar®-winning Golden Compass. After working as a Digital Environment Supervisor for several years, it was Jenkin’s experience as Art Director on Steven Spielberg’s 2011 film, War Horse, which inspired his partnership with Production Designer Rick Carter and much of the unit he would work with closely for the next several years. As Art Director and Lead Concept Designer, Jenkins led this unit onto over 50 visual development projects, covering a huge range of work including the Zombie waves of World War Z, the intricate sets for Zero Dark Thirty, the dystopian world of Dredd, the exo-suits and aliens for Doug Liman’s Edge of Tomorrow and the environments of Marvel Studio’s Thor 2, Guardians of the Galaxy and Avengers: Age of Ultron. Most recently as part of Industrial Light & Magic, Jenkins has worked on all three of the latest films from the Star Wars franchise, as a Live Action Art Director on Star Wars: Episode VII – The Force Awakens, Conceptual designer on Rogue One: A Star Wars Story, and has just completed work as the Lucasfilm Design Supervisor on the upcoming Star Wars: The Last Jedi. He has won an Art Directors Guild award for his work on Guardians of the Galaxy and a British Film Designers Guild award for The Force Awakens. In addition to his work on specific projects, Jenkins serves as Supervising Art Director at ILM London.